Find West Cornwall Pasty Co in two locations at London Stansted Airport, by the coach station as you arrive or leave the airport and airside before you take off. Call into see us and we'll take care of breakfast, lunch and dinner and much more! 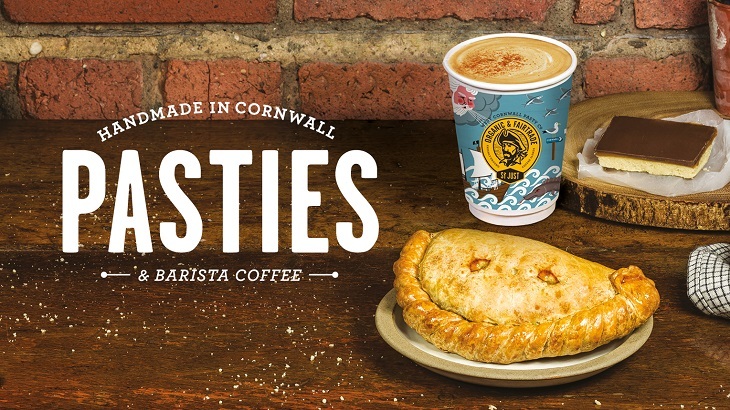 Why visit West Cornwall Pasty Co? Wherever there is a West Cornwall Pasty Co store there is time for a mini break to Cornwall! Plunge headlong into the heart of Cornwall and enjoy award-winning pasties hand crimped in our West Cornwall bakery and freshly baked throughout the day, or you can always indulge in a delicious sausage roll! Catching an early flight? Pep up those early morning starts with a cup of our bespoke blend of barista-made St Just Organic Coffee and a hearty breakfast roll, or match it with a muffin or a freshly baked croissant. We're all about easy food for on the go that's wholesome, tasty and easy to carry, plus we offer great options for vegetarians, vegans and those who are dairy free. Let us get holidays and travel off to a fine start - Cornish style of course!